I got a little bit excited when I went to the market on Monday because chestnuts were being sold in abundance. When I see chestnuts being sold I always think of Christmas. Chestnuts roasted over a fire, served with a little butter is my idea of heaven. Chestnuts add a creamy sweetness to dishes making a very pleasant addition. They do require a little bit of effort in their preparation, however it is worth taking the time and effort. Below is a brief description of how I prepare my chestnuts before using them in a range of other dishes. Cut the chestnuts in half using a sharp knife (be careful as they can be fairly tough and the knife can slip). Discard any that are discoloured in the middle. Place the chestnuts in a pan of boiling water and a little salt. Bring back up to the up to the boil and cook for 5-7 minutes. Drain the water off and then wash the chestnuts in cold water. With any luck the chestnuts will have popped out of their shells however, if they haven’t, peel the shells off and use a knife to get rid of any of the husk. Place the chestnuts in cold water until you need them. 2. Place the lardons and thyme in a frying pan with a little oil and cook for 2-3 minutes. 3. 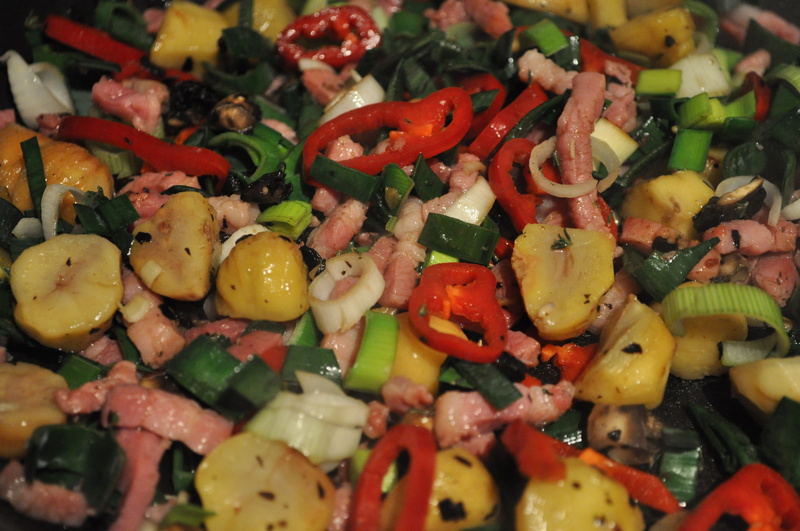 Add the leeks, peppers, mushrooms and chestnuts to the pan, stir together and cook for a further 2-3 minutes. 4. Whisk the eggs, milk, crème fraiche and seasoning together in a bowl. 5. 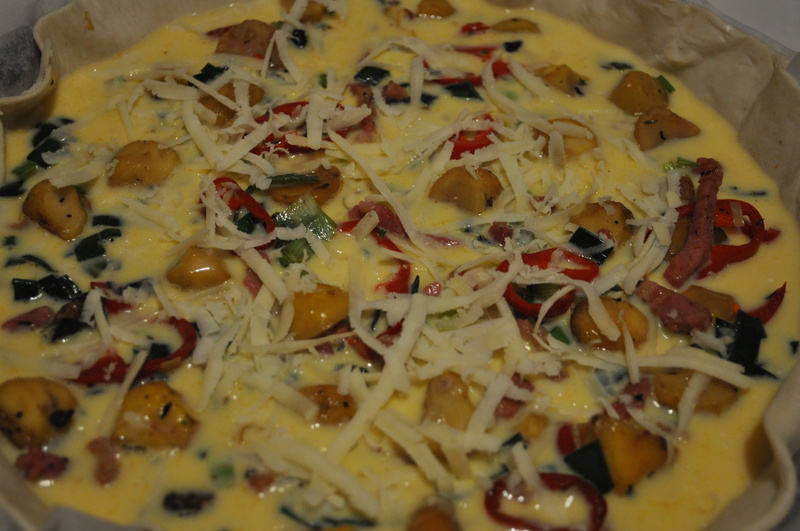 Place the pastry in a flan dish, spoon over the bacon and vegetables, pour over the egg mix, then grate over some cheese. 6. 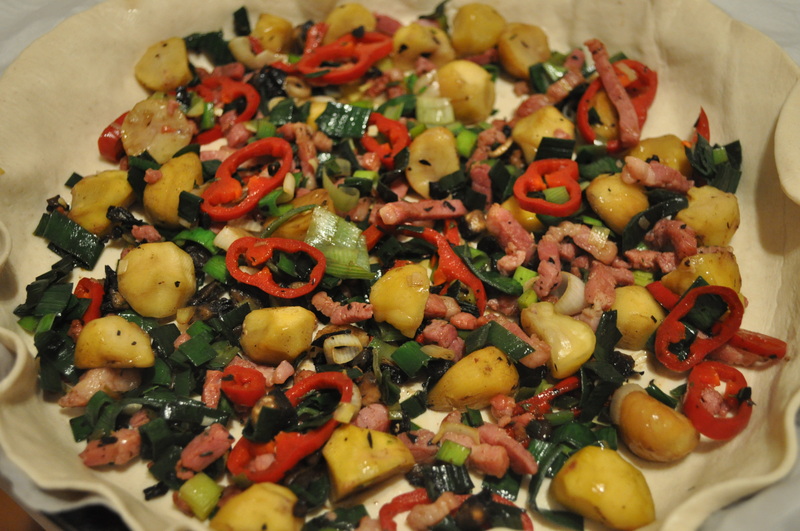 Place in the oven for 25-30 minutes. 7. Once cooked, remove from the oven and allow to cool slightly before eating. This entry was posted in baking, main meal, recipes and tagged eatclean, foodie, homecooking, lightlunch, recipes, seasonalfood on November 9, 2012 by Antonia Cooks. 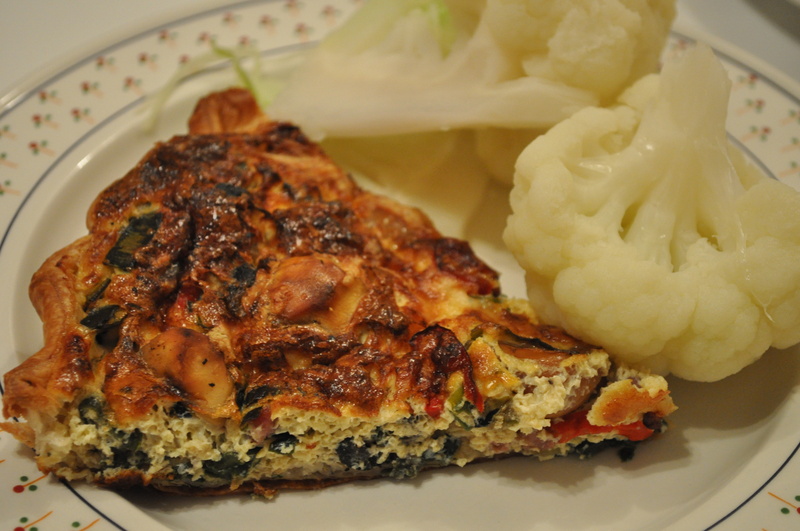 I love the idea of adding chestnuts to this quiche…what a great textural element! 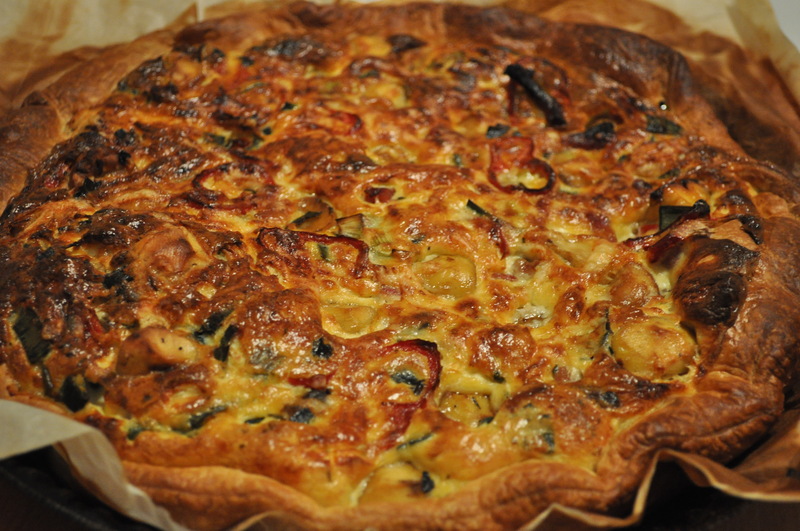 Thanks – The chestnuts do add texture to the quiche and they also become creamier as they cook. Have a great weekend!